The Executive congratulated the NUS and UCU for the excellent turnout on Wednesday's demonstration. The NUT will be talking to the UCU about co-ordinating our actions together. 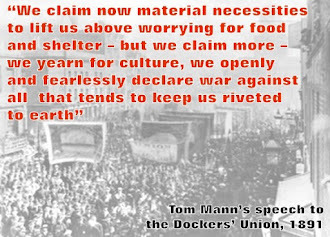 The NUT will also be building for the TUC's national demonstration on 26 March. We had supported the PCS union in their argument that the TUC needed to show a greater urgency and organise a demonstration before then. Unfortunately, most other public sector unions have not supported us - but plans are still being discussed. Schools are waiting to hear firm news about their budgets but many boroughs face immediate cuts to their advisers and other central teams. 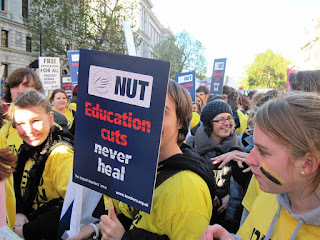 The NUT Executive agreed that we must expose the educational damage that these cuts will cause - and that we will support ballots for strike action - across the whole of a Local Authority if necessary - to oppose them. The Executive discussed Lord Young's review of Health and Safety. Tabloid attacks on supposed 'bureaucracy' hide the Government's intention to undermine vital legal protections for teachers and school students. The 35% cuts to the Health and Safety Executive budget confirm our fears. Michael Gove has written to the School Teachers' Review Body signalling that he wants a further review in the spring into "the introduction of greater freedoms and flexibilities... to reduce the rigidity of the existing pay and conditions framework". He may try to rush through these attacks by September 2011. The Executive agreed to seek joint teacher union opposition to these attacks. For September 2010, most teachers still received a 2.3% award - at least a small increase on our salary slips. But teachers in sixth form colleges - where negotiations are ongoing - have been offered a derisory 0.75%. 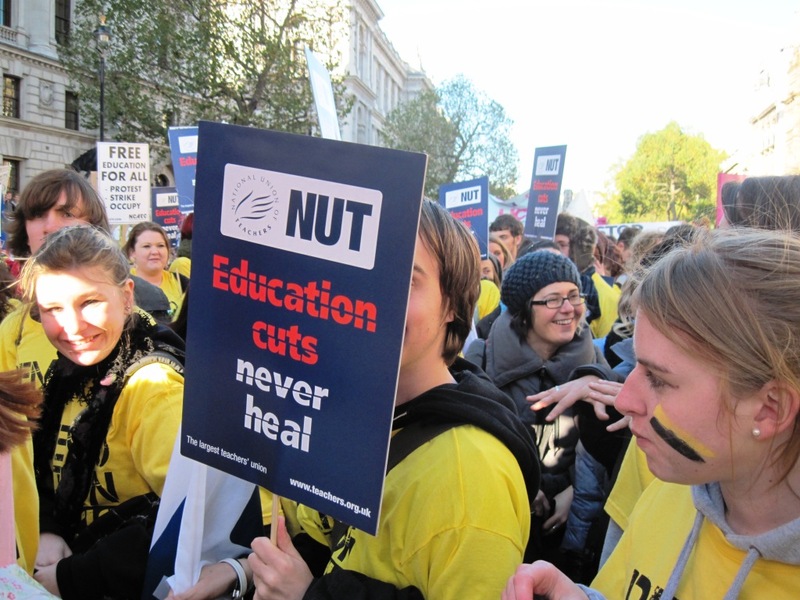 Ballot papers will be going to affected NUT members recommending rejection of the offer and also recommending that they show their support for strike action on the issue. The new booklet summarising NUT policy and teachers' rights on workload has been issued to school reps. An updated classroom observation policy is also available on the NUT website. The Executive also agreed that we will be making lesson planning a particular focus for campaigning in the New Year.